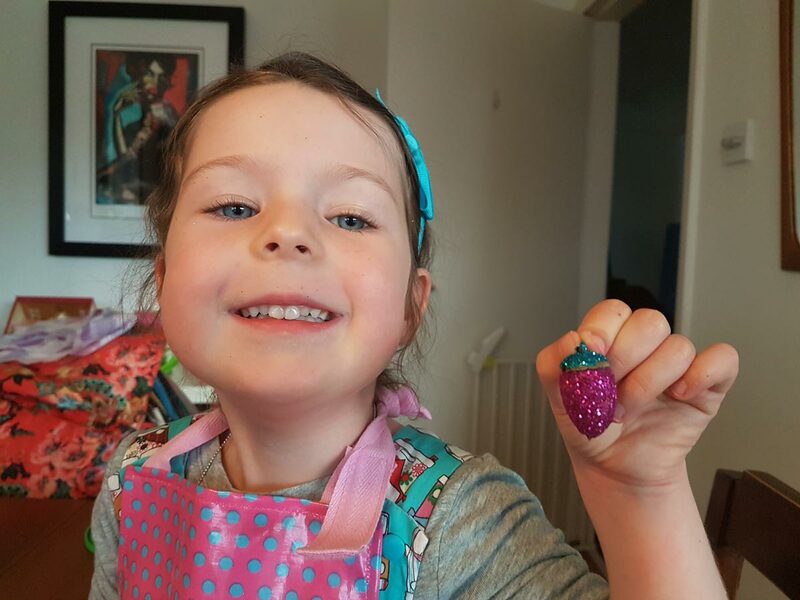 Everywhere we go just now there are lovely autumn jewels to find which are perfect for making crafts. 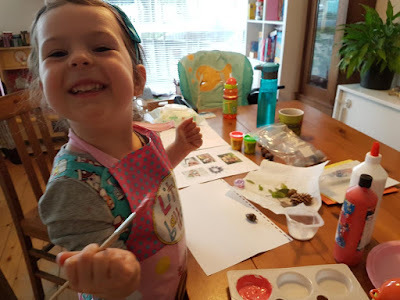 From conkers to acorns, pine cones to leaves, read on for some great ideas of things to make when you are tired out from jumping on leaf piles! 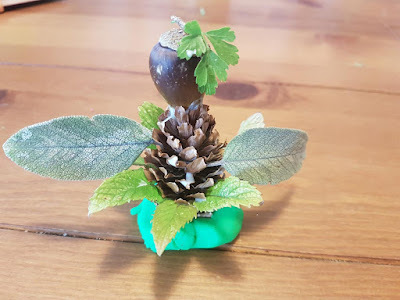 I love fairies and fairy gardens so this one was top of my list to make! Take a pine cone and glue an acorn to the top of it to make a head. Add some leaves to make wings and a skirt as well as a little addition to her hat and that's her complete. I used sage leaves for my wings but sycamore leaves would look awesome too. This is the simplest of all my autumn crafts but it's soooo cute and they are great fun to play with. It was Tilda's favourite! 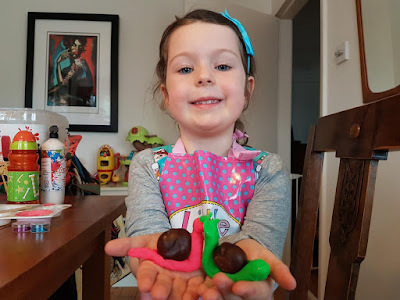 Just take some modelling clay (we used play dough) and make a sausage shape. Add a conker for its shell and make the feelers/face at one end. The quickest craft for the slowest creature! These are super cute and easy to do. Take an acorn without its hat. Glue on some eyes, a beak and some feathers and you're done. It would be cute to make a row of these. You could even glue them onto a branch. It's an acorn. And it's an owl. Cool! We decorated a couple of different acorns which are easy to then attach some string to in order to make the coolest necklaces ever! 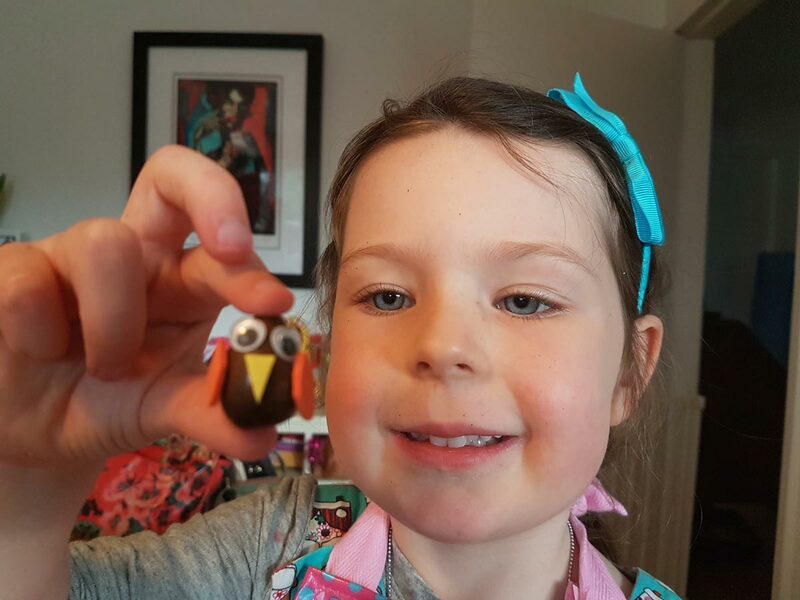 One option is to paint the acorn, draw on a cute wee face and then glue its hat on at a jaunty angle! My favourite though is the glittery acorn necklace. Simply cover the acorn in glitter (I chose one colour for the main acorn and another for it's hat). Leave it to dry, add some string and you have a gorgeous necklace. What ideas do you have for autumn crafts?